Our company Raftrek has formed its team out of various members and enthusiasts from the travel industry that have polished their skills in other companies for years. We all share a deep passion for travel, a respect for the environment and old cultures. Our love towards nature and the outdoors made us what we are today. We specialize in outdoor and adventure travel, a range of one-day activities or multi-day trips that are a well-balanced mixture of nature, activity and culture will make your stay in Croatia even more interesting. We do things differently – away from the throngs of mass tourism. We’ll challenge you physically, to discover and learn, recognizing that yearning for adventure, and that spirit of teamwork. That’s what drives us to pursue the remote corners of our amazing country – on foot, with paddle, or any means that immerses us in the unforgettable scenery around us. The philosophy is very simple - every Raftrek trip is a one-of-a-kind adventure by a well-choreographed backstage effort. After 10 years of practice, we've perfected the craft of creating and delivering great experiences and service within Croatia. From the first time we talk to you about a trip until you return home, we ease your trip preparation. During your vacation, we make sure your travel logistics and other details are handled, so you can focus on fun and relaxation. Our dream is to ensure that travel ideas and dreams come true only limited by our imagination and that our guest travellers have fun living the dream! To wake up early for a morning paddle, swim or run is encountering the beauty you’re sure to find outdoors, no matter what the weather is. The memories you create – and the changes that happen within – are where the value of genuine adventure travel lies. You’ll have stories to share when you return home. For reaching new memories, we’re here to guide you. Raftrek team will help you plan the best holiday in Croatia. We know our country well, we love it and we want to share it with you. 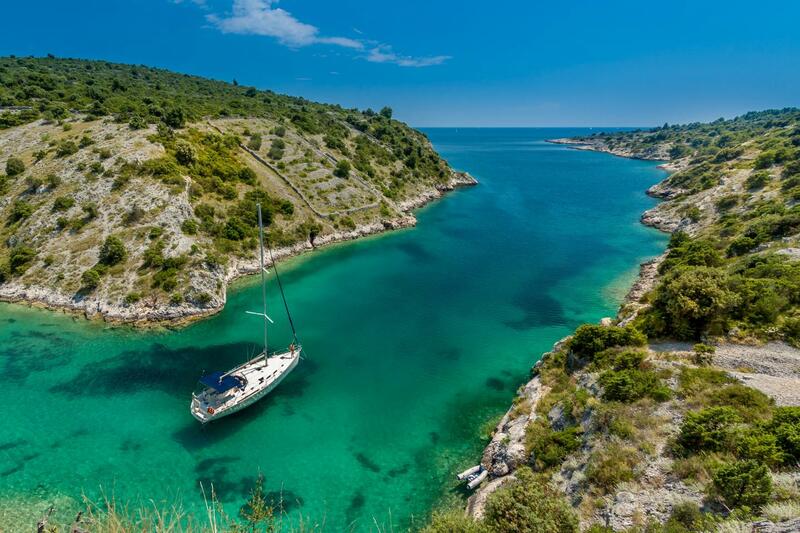 Great way to see Croatia! Hiking is light to medium level so easy for everyone who is at least a bit in shape. It was a nice adventure. Thanks for the extra show (hanging raft:)).